The Ava Medium Grey Bench is a perfect means of giving a modern, versatile touch to your seating arrangement. 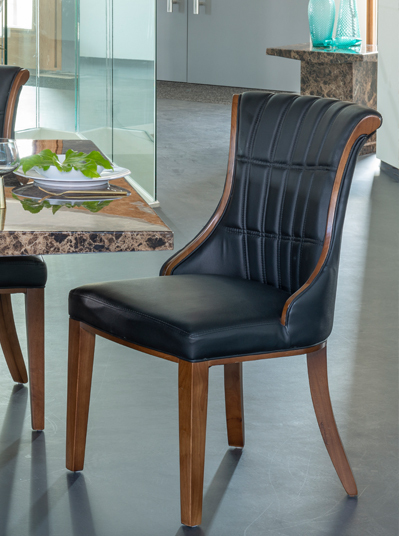 As a substitute or supplement to dining chairs, the stylish bench is an eye-catching piece with its sled-style legs of brushed stainless steel and sleek faux-leather upholstery in neutral grey. Soft foam padding beneath the seats and backrests give this 3-seater bench its sense of comfort.